In October 2015, the unimaginable happened to a mother, her toddler, and another relative. A 43-year-old woman ran a red light at the Queens intersection of Atlantic Avenue and 108th street in Richmond Hill at around 6 p.m. The SUV plowed through the intersection and was struck by a northbound Kia, causing one of the vehicles in the two-car collision to jump the sidewalk where it hit the unsuspecting pedestrians. The 48-year-old mother tried to throw her 2-year-old daughter out of harm’s way, but was unsuccessful. “The older woman had tire marks, a lot of cuts and marks,” Norman Alsaivi said of the 52-year-old relative. –A sight that has left him shaken. Several bystanders and a nearby officer rushed to the scene to assist. The 52-year-old victim, identified as Meena Mahabir of Queens, was pronounced dead at Jamaica Hospital. The toddler, now in critical but stable condition, was also taken to Jamaica Hospital, where they then transferred her to Long Island Jewish Medical Center. Both drivers, as well as the mother are all in stable condition, say police. “Red-light running is a serious intersection safety issue across the nation. According to the National Highway Traffic Safety Administration’s (NHTSA) Traffic Safety Facts 2008 Report, there were more than 2.3 million reported intersection-related crashes, resulting in more than 7,770 fatalities and approximately 733,000 injury crashes in 2008.” According to an article written for the U.S. Department of Transportation Federal Highway Administration. With statistics like these, you are more likely to be injured in an accident where a driver fails to stop at a red light than any other type of crash. Drivers who disobey traffic controls are the most common cause of all urban crashes. An average of every 20 minutes someone runs a red light. About half of the red light violators will die in the accidents they cause. The other half are the passengers, pedestrians, cyclists caught in the wrong place and the wrong time. If you needed more incentive to drive safely and obey traffic lights, remember that red light violators with a New York State driver’s license will get three points for every ticket issued. It is three points for ever ticket issued in person by a traffic officer. However, if the ticket is issued by a red light camera, it will not carry any points. Once a person accumulates 11 points, the license will be revoked. Intersection safety should be everyone’s priority. The costs to society and the personal costs that result from running a red light are preventable. 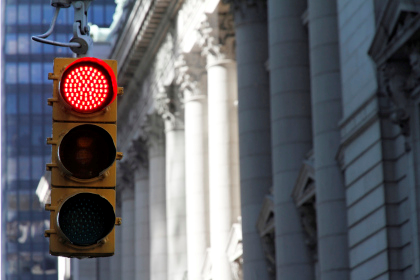 If you are the victim of a signal violator and have suffered a personal injury in New York, seek legal advice immediately. A New York personal injury attorney will know how to protect your rights and can ensure you are fairly compensated for loss of wages and medical costs relating to your injury. Personal injury Attorneys Polvers Thompson has an established reputation in the community for their devotion to helping victims of negligence. 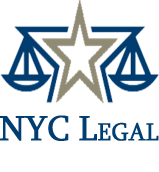 Contact them today for a free conciliation.